The first Australian Theatre Forum (ATF) was held in Melbourne in May 2009 and was organised by the Australia Council for the Arts, largely to address key issues that the sector was facing. 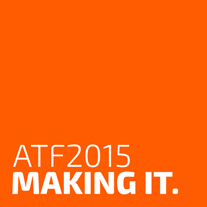 Since then, the ATF has come to be recognised as the main meeting place for the theatre sector. Bringing together practitioners, producers and cultural provocateurs from across the country, the Australian Theatre Forum provides a platform for an exchange of ideas. The 2013 forum was held as part of the Centenary of Canberra celebrations. Under the guidance of Curator Alicia Talbot, the forum drew inspiration from Canberra both as a traditional and continuing gathering point for Indigenous culture and as a multifaceted twenty-first century city. The forum included a program ‘the Artist vs the Archive’ curated by Nat Randall and hosted by a series of curators at some of Australia’s national institutions. The forum was produced once again by TNV, with project producer Antonia Seymour taking the reins. The National Advisory committee was: Robyn Archer, Nicole Beyer, Steve Bull, Jo Duffy, Michael Futcher, Rick Heath, Edwina Lunn, Frank Mainoo, Rachael Maza, Andy Packer, Caroline Stacey, Christopher Tooher. A key outcome was a resolution to establish a Best Practice Model in the making and presentation of Aboriginal and Torres Strait Islander theatre work and work of Aboriginal and Torres Strait Islander content. The resolultion was sent to the Australia Council for the arts, which is addressing the forum’s concerns. There is a rich array of documentation for the 2013 ATF including recordings of guests OK Theater’s radio programs, videos, other audio recordings, articles and reviews. 2011 was the first forum produced by Theatre Network Victoria. The forum was held during and as part of the Brisbane Festival, with Brisbane Powerhouse as the presenting partner. The Australia Council for the Arts, Arts Queensland and Brisbane City Council were the principal funding partners, and the finances were auspiced by Metro Arts. Fiona Winning was the Curator and Rebecca Meston was Project Manager. The National Steering Committee for the forum was Nicole Beyer, Director Theatre Network Victoria (Chair); Candy Bowers, Freelance Superstar; Lenine Bourke, Artistic Director Contact Inc; Liz Burcham, CEO Metro Arts; Wesley Enoch, Artistic Director Queensland Theatre Company; Kristy Edmunds, Artistic Advisor Park Avenue Armoury New York; Fiona Maxwell, Queensland Manager Artsupport Australia; Chris Mead, Director Playwriting Australia; Rose Myers, Artistic Director Windmill Theatre; and Alicia Talbot, Artistic Director Urban Theatre Projects. Fiona Winning curated a forum that aimed to collectively recognise the innovations that are taking place in the sector and sketch out the changes yet to be made. She opened the conversation to independent theatre makers as well as companies, using Open Space methodology. The forum resulted in ten priority areas for action: Strengthening Young People and Theatre; Embracing Environmental Sustainability; Better and More Efficient Managing; Taking Up Digital + NBN Opportunities; Developing New Ideas for Touring; Arts Action – Politics + Money; Strengthening Partnerships and Networking; Mixing It Up – Commitment to Diversity in Theatre; Supporting Independent Practice; Valuing Creativity and Imagination. Check out 2011 ATF to view photos, video and blog posts from the 2011 forum at Brisbane Powerhouse. - Creative workforce succession: where are the directors, artistic directors, designers and other key creatives of the future going to come from and what can the sector do to support their development now? - Interconnections: how can the theatre sector’s connections be strengthened to support and manage risk-taking, address issues of talent development and succession, and provide benefit for both the small to medium and large companies? The forum was overseen by a national committee: Wesley Enoch, Tom Gutteridge, Alice Nash and Andrew Upton, and curated by Angharad Wynne-Jones. The forum was three days, “Chock-full of challenges, provocations and potential ways forward” (Chris Mead, 2010), and delegates expressed a keen interest for a second forum. See 2009 ATF for details of the 2009 program.